A stolen purse or lost wallet gives an identity thief all the information and documentation they need to take advantage of your good name and credit. Criminals can sell your identification very easily, view the Dateline MSNBC video on our home page to see how quickly and easily it is done. As frustrating and scary as it is, there are many things you can do right now so that you aren’t victimized further. If you would rather speak to a professional right now here is the phone number for LifeLock one of the best services we have ever researched and one that is backed by a Million Dollar ProtectionTM Package*. Call 1(800) 543-3562 or from international locations call 1-480-457-4500. Mention promotion code “BestOffer” to save 10%. You want to request account number changes. Be sure to understand your options here. One option is to call and completely cancel all your cards. This is almost never the right choice. Canceling credit cards that have an outstanding balance, or canceling a whole set of credit cards can have a negative impact on your credit score. 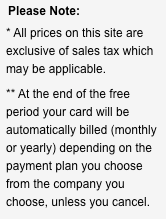 Also, if you simply cancel cards, this may incite banks to maximize the interest rate on any outstanding balance. It is best to contact customer service for each debit or credit card by phone and clearly explain that your card has been lost or stolen. Most banks have plans in place to address this situation. Your hard copy or electronic statements contain the Phone numbers, or call toll free assistance 800-555-1212. Insist on new account numbers, and request transfer of any mileage or other card benefits. Same credit limits (important for maintaining credit score), same or better terms. Do not skip this step as it will be an essential piece of information if you do become an identity theft victim. Keep a copy of this police report for your records. Any suspects? Do you have a description? Verification is often done by calling your phone number which will be placed in your credit file when you place a fraud alert. 4. Contact your bank or credit union’s fraud department and report the event. You may be able to combine this with step 1 above, especially regarding ATM (debit) cards. 7. If your keys are missing change your locks, home and/or car. This important step is often neglected but shouldn’t be. If your purse was stolen, you have to remember that even if keys and other items are recovered, they may have been duplicated prior to recovery. List everything, credit cards, Blockbuster cards, retail shopping cards, gift cards, cash estimate, lipstick, children’s information, etc. Keep the list with you and add to it, in a day or two you will have remembered nearly every item you had in your wallet or purse. This complete inventory will be very useful in detecting fraud and speeding your recovery. You didn’t have any account numbers or passwords in your wallet, did you? Did you have any of those little plastic car or house keys? ID cards for daycare or Sunday School pickup? This is a recommendation, but we believe in it strongly, and you will sleep much better! 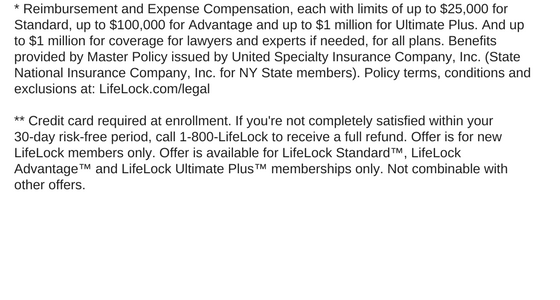 Consider enrolling with LifeLock. Identity Protection services are very affordable at $9 or less per month or $99 or less per year, plus, if you do become a victim, you will have an identity protection company to help you restore your credit and good name. Trust us, you don’t want to go through this experience. It is far more frustrating and stressful dealing with all the red tape and bureaucracy than the loss of your wallet or purse. You also won’t have to worry about when the attack will be initiated, identity thieves may wait anywhere from a few months to a few years. Enrolling will also give you LifeLock’s Million Dollar Protection Package*. See this article on Identity Protection as it is packed full of useful information and reveals many truths about identity theft that most people are unaware of. This is a stressful situation and can leave one feeling violated and angry but knowing what to do when your purse is stolen is half the battle. If you act quickly using the guidelines above you can keep it from taking your stress to a whole new level and from becoming a major financial disaster or identity theft situation. If you have not lost your wallet or had your purse stolen, great! By reading the information above you can easily see why identity theft prevention is the key here! Taking a few simple precautions now can save you time and money if your personal information is ever compromised. Carry only what you need in your wallet or purse. Store all non-essential information in a safe place. Make a detailed list of the items you do carry with you. Purchase identity theft protection from a service like LifeLock, IdentityForce or Identity Guard that allows you, when your wallet is stolen or your purse is lost, to make one call (24/7 365 days a year) to a knowledgeable customer service agent who will not only help you stay safe but also call and cancel cards, fill reports and other steps that significantly reduce your time and stress. Remember, its not just the fraud detection, its the identity theft insurance or service guarantee* that helps with credit restoration and protection of your good name. Its the time saving, stress reduction of having someone else on your side in the event you need them. Simply put, its the peace of mind knowing someone has your back. If you are unfamiliar with these identity protection plans you can read our reviews of LifeLock, IdentityForce and Identity Guard to learn more about the particular services offered by each. Also, please read through this website and learn about identity theft. You will find some great tips and hopefully you will come to the understanding that times have changed and that it’s in your best interest to protect yourself from this potentially devastating crime. How you do it is up to you, we just implore you to do something before it is too late. Please stay safe.